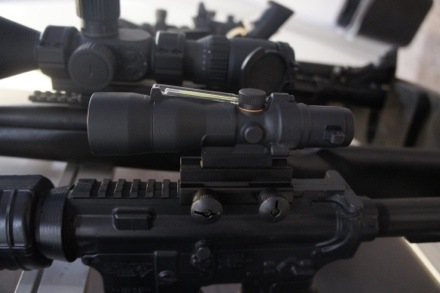 The 1-6×24 VCOG is a variable zoom optic with a first focal plane illuminated reticle. The housing is made from 7075-T6 aircraft-grade aluminum. Powered by a single AA battery, the VCOG is capable of a constant on battery life of 700 hours at setting 4 of 6. 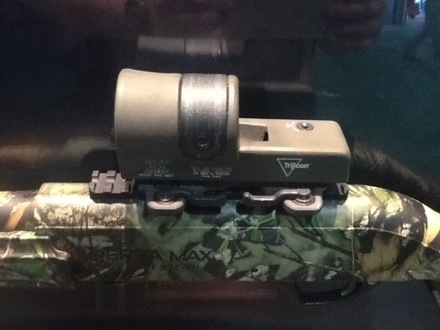 An integrated magnification dialing fin makes it easy to switch from 1x to 6x magnification. Tested to MIL-STD-810G; waterproof up to 20 meters. Trijicon also revealed they will be offering Cerakote coating as an option for select models of the ACOG, Reflex, and RMR in OD Green, FDE, and Sniper Gray. 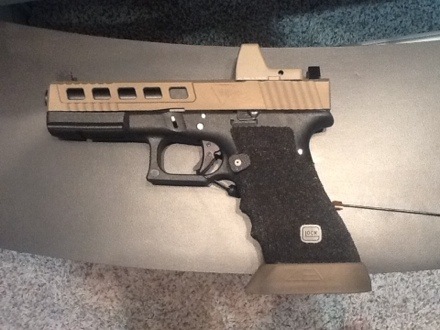 Additionally, a representative at the Trijicon booth mentioned the possibility of a limited run of Glock slides in partnership with Zev Technologies, featuring the RMR optic. The Trijicon ACOG 3×30 with 300 AAC Blackout reticle features a battery-free, self-illuminated reticle with a ballistic drop compensator for both supersonic and subsonic rounds. One of its key features is the Bindon Aiming Concept, which allows for both-eyes-open shooting. 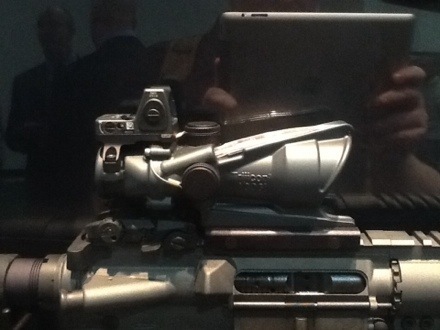 The reticle utilizes standard 16 inch barrel velocities and is designed to be calibrated with supersonic (115 gr.) ammo using a zero of 100 yards. 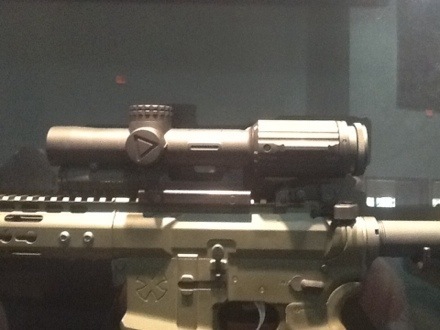 This is an image of the reticle used by the .300 BLK ACOG.